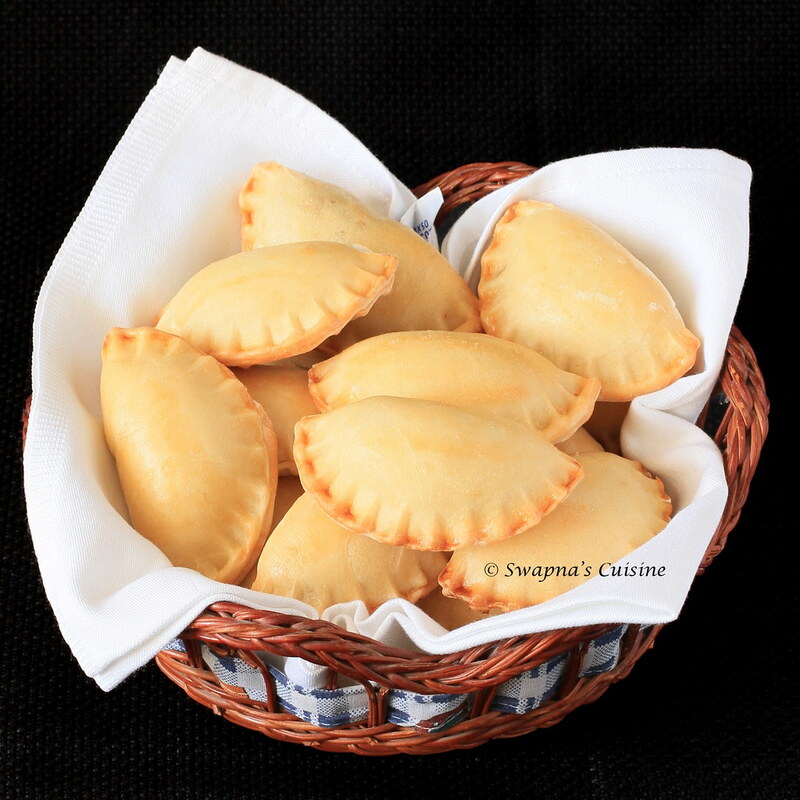 Servings: 10 – (makes a 40cmx30cm square empanada or about a 35cm diameter round empanada). On a lightly floured surface, roll out the dough; use a lid or round cutter cut out the dough. Place couple of teaspoons of filling into the center of each circle. Fold the dough over and press the edges firmly to seal. Place the empanadas on a cookie sheet. In a small bowl, beat an egg and add a tbsp of cold water. With the pastry brush, paint the top of the empanada with the egg wash.
Place the empanada in the oven and bake for about 30 to45 minutes or until golden brown. Fry the finely chopped onions, garlic, ginger, when slightly browned add green pepper and celery and stir fry until the vegetables are soft. Add the chopped tomatoes, and cook until done. Add the meat and cook until meat is cooked and all the water dries up. Add chilly powder, pepper powder garam masala and sirt fry for 5 more minutes. Finally add coriander leaves, mix well and turn off the heat. Allow to cool for at least 30 minutes. Fill the empanada and bake as indicated. Perfectly baked,looks so yum,love the filling. 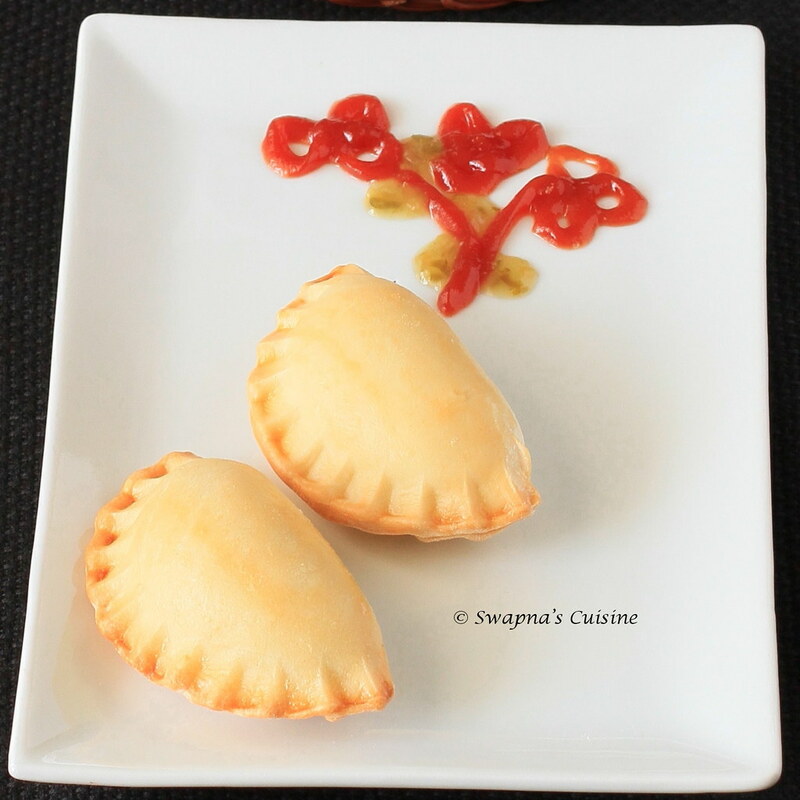 Your empanadas look absolutely perfect! Great job! The filling sounds delicious! Those empanadas look amazingly perfect - I wish I could take a bite right about now! Great job. BEAUTIES!Each done to perfection! pls put up a sliced part if possible..
Lovely shapes and looks so wonderful !! They look so professional. Love them! So delicious! Takes me back to my mom's cooking. These are just gorgeous - so perfectly golden brown! these are really beautiful,love the filling to! 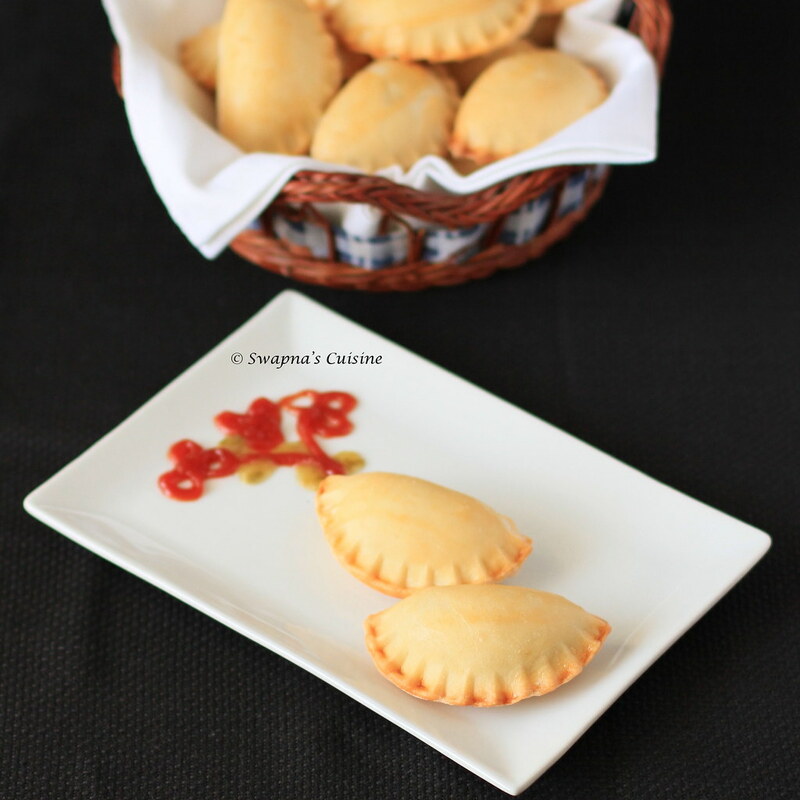 Your little empanadas are so beautiful, and your shots are gorgeous! I specially like how even they look, both in shape and color! Congratulations on your challenge! The little empanada's are so beautiful !!! They look perfectly gorgeous to the least! Awesome pics Awapna! Found you through Blog Nation and so glad I did. Happy to follow you now. These would be empanadillas, not empanadas. 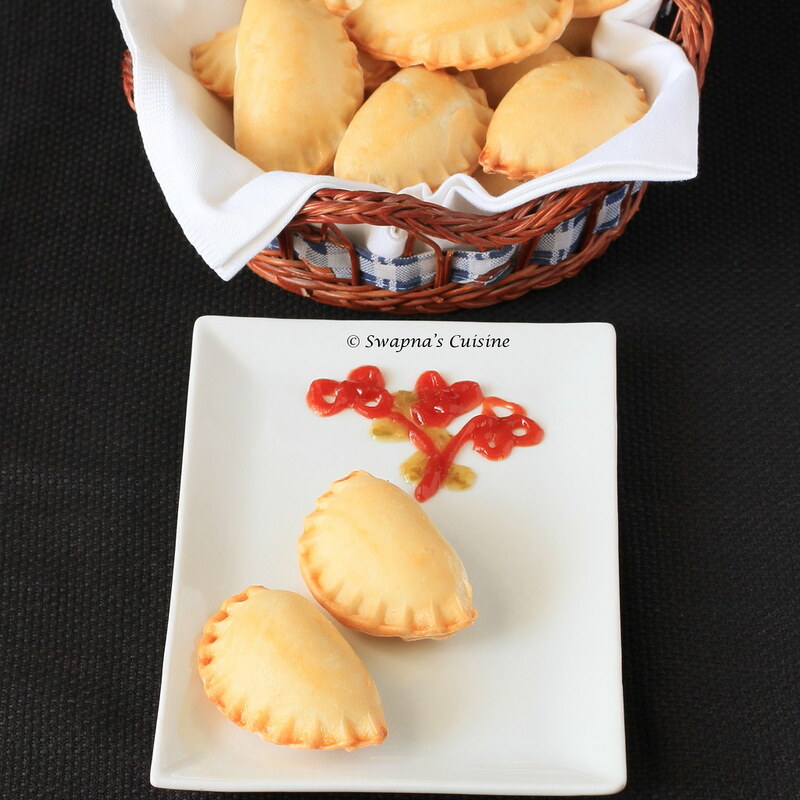 The empanada gallega is larger, and the dough is much different, as is the filling; regardles, these are delicious!